Armando Montelongo Jr was born in 1970, in San Antonio, Texas USA, and is an American chief executive officer, business person, public speaker, as well as an entrepreneur, but perhaps best known for his role in “Flip This House” on the A&E reality TV channel, beginning in 2005. So just how rich is Armando Montelongo? According to sources, Armando Montelongo’s net worth is estimated to be over $50 million, the majority of his wealth having come from his appearances in a reality television series called “Flip This House”, as well as his business ventures. Armando Montelongo made his first on-screen appearance in the previously mentioned “Flip This House”, a reality show that focuses on renovation and rebuilding of a new house in each episode. The first season of the show met with a lot of controversy due to legal issues between the executive producer and the production company, and as a result the second season was released with a brand new cast. In the second season, as well as seasons to come, Armando Montelongo represented the “San Antonio Team”, appearing alongside his wife Veronica Montelongo. The popularity of the show brought Armando Montelongo public recognition and allowed him to make further ventures, as well as accumulate part of his net worth. Another source for Montelongo’s $50 million net worth is his business career. In 2005, Armando began providing lessons and seminars on real estate and business, and several years later, in 2008, he launched his first Armando Montelongo Seminar, which are usually free and are provided all around the United States. Armando Montelongo Seminars are a part of his bigger company that is also related to giving real estate seminars, which is called Armando Montelongo Companies with headquarters located in San Antonio, Texas. Another of Montelongo’s business venture relates to his movie production company “Armando Montelongo Production”, which was set up 2011, and since then has produced a feature film called “Line of Duty”, starring Jeremy Ray Valdez and Walter Perez and released in 2013 with an estimated budget of $2.5 million. 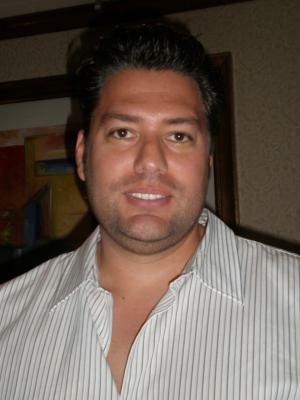 Armando Montelongo was an executive producer of the movie. Montelongo’s ventures were rewarded in 2011 when his Armando Montelongo Companies was ranked at #19 on the Inc. 500, a list that includes the companies having the fastest-growth in the United States. Montelongo himself was featured in the list as the #2 business owner of Hispanic origin. In addition to the net worth that he collected from his business companies, Armando Montelongo is a published writer, having released the book called “Flip and Grow Rich” that describes his experiences in the “Flip The House” show, as well as including various lessons from his personal life. In his personal life, Armando Montelongo has been married to Veronica for over 20 years. He loves to sponsor sports races, and in 2010 was a sponsor of an Indy 500 car race. In 2011, Montelongo reprised his role as a sponsor again, and sponsored the event of Conquest Racing, where one of the participants was the British racing car driver Pippa Mann. 3 Sponsored cars in the 2010 and 2011 Indianapolis 500. 4 Brother-in-law of Melina Montelongo. 5 Raised in San Antonio, Texas. 8 Brother of David Montelongo.